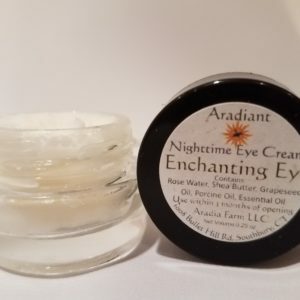 View cart “Stunning Slumber | All Natural Nighttime Facial Moisturizer” has been added to your cart. Indulge yourself with our exquisite Aloe Soap. Our Aloe Soap features our intense moisturizing porcine oil loaded with vitamins A, D, K and E and is topped with all natural Aloe Vera to enhance its skin soothing benefits. Not only is this soap remarkable for your skin, the elegant design makes this an eye catching gift too! Our all natural Aloe Soap is made by hand as a hot process soap. By using a hot process soap making method, we are able to preserve many of the benefits of the aloe vera. Hot process soap requires cooking the soap until all the sodium hydroxide has reacted with the oils. When saponification is complete, we add the raw aloe vera to the soap and pour into molds. This prevents the aloe vera from saponifying with the rest of the oils and thereby retains the many benefits of aloe. By finishing off with the aloe, our Aloe Soap is highly moisturizing and extremely soothing to the skin. Typical soap processes require a series of chemical changes to each ingredient by reacting with the sodium hydroxide. These changes are what turns an oil into a soap. While there are still many benefits of the other ingredients such as porcine oil and coconut oil, they are not the same benefits of using the ingredient in its raw form. Porcine oil is also known as a hard oil, or an oil that helps to make the soap hard. The hardness created by the porcine oil is what makes this a long lasting bar soap. Another benefit comes from using the coconut oil and porcine oil together. These two oils create a luscious, thick lather. 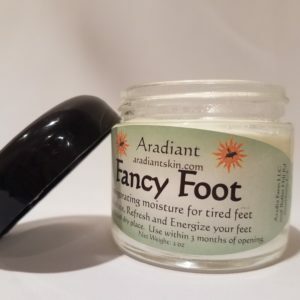 Because this is an all natural soap, we don’t use any lathering agents, but the combination of these two wonderful ingredients creates a sumptuous lather. We take the time to make the beautiful pattern in our Aloe Soap by hand. We build layer by layer with just a touch of gold in between for that added sparkle. 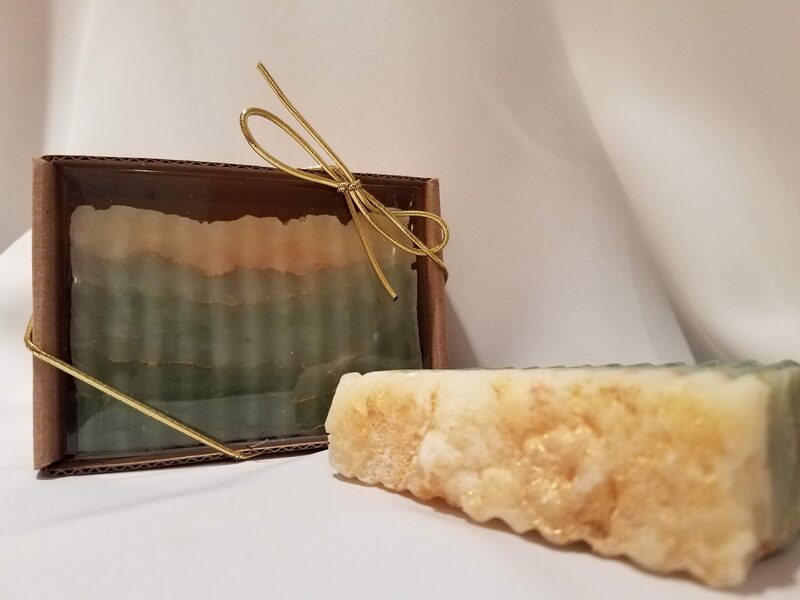 Because this is a handmade soap, each bar comes out just a little bit different, but just as beautiful.